The Inova Gate range was introduced by a German based company called ‘Berlemann GmbH’ in the early 1980’s. Having over 30 years expertise in the sliding gate market, Berlemann have established their automatic sliding gates as the recognised market leader. Conventional automatic gates were coming under intensive scrutiny and with the new safety standards being imposed on the manufactures of gate systems, it left the market requiring new innovative solutions. In traditional construction methods, 2 or more sets of roller wheels and a complete ground support system was required for the travel of the gate along with the complete drive system placed outside of the gate. This principal left some very slow in operation and essential parts prone to breakdown. Innovation, safety, security and reliability were the key areas that Berlemann felt needed addressed and so the Inova cantilevered sliding gate with its innovative award winning drive concept was born. With the self supporting Inova Gate, Berlemann completely revolutionised this market segment. As a leader of innovation in this area, Inova automatic sliding gates offered high-tech as well as individually configured gate solutions. The cantilevered design and unique drive system, brilliant in its simplicity has won numerous prestigious awards and justifiably so given the numerous advantage it offers. The prescribed E.U. 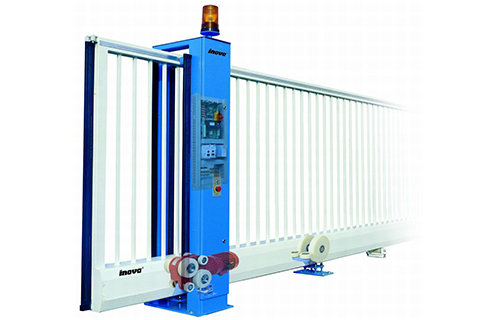 safety standards which include extensive documentation needed on the initial type testing off the gate system by an authorized body, are not only met by the Inova Gate systems but are exemplary fulfilled and go beyond what is required. It did not take long for the market to stand up and take notice; automatic sliding gates have never been so simple, so reliable and so safe. In just a few short years Inova automatic sliding gates have become the market leader throughout Europe. Countless customers in industry, public services and private sectors have placed complete confidence in the Inova sliding gates system. In 1998 Inova Gates joined partnership with Mr Rogers, and together they introduced the Inova Gate System into the UK and Irish markets. This allowed new Inova customers in these areas to benefit from not only the high quality Inova products but also the outstanding customer service provided by Inova in the supply and on-site installations. In the proceeding few short years that followed, the Inova brand has grown rapidly in the UK and Irish markets. Close working relationship with Architects, Engineers and specifiers has made the Inova Gate product a ‘must’ to specify on all jobs. The Inova Gate is the result of many years of research and development. With the ever changing security issues in the UK the development of the Inova Gate continues to change and grow. 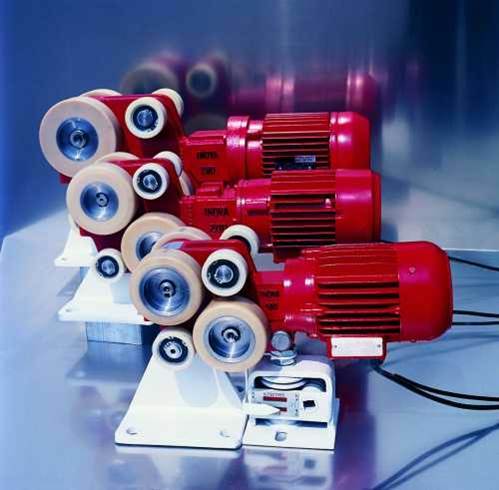 manufacturing technology and automation systems make new assembly methods possible. quality at the highest level. We work very closely with a number of high profile clients i.e. and Cash Counting Centres etc, throughout the UK and Ireland at present. The introduction of the Inova system to the UK market has produced some healthy competition in the cantilevered sliding gates market sector. However the unique patented Inova 4 wheel drive system, completely invisible from the outside, having all the drive functions inside the camber of the lower beam has outstanding reliability in comparison with conventional cantilevered sliding gates. They on the other hand have part of their drive system in the lower beam and the rest of the drive mechanism on the outside. This patented drive principal gives the Inova Gate a light, almost floating movement appearance. Completely housed in the lower beam from the weather elements and vandalism, the patented 4 wheel drive system reliably performs its task. With these key running components integrated into the camber of the lower beam, it extensively reduces the components needed and also eliminates ALL outside running gear (such as stud chains, toothed racks, drive unit covers) and gives outstanding reliability, and runs perfectly smoothly even in snow and harsh working conditions. As you would expect from Inova, everything is well thought out, down to the very last detail making Inova the first choice in security and access control systems. If you’ve any questions, feel free to contact us on +44 (0)28 7962 7264 or sales@inovagates.com.